Are you looking for an affordable and feature-rich hosted VoIP service? Consider Switchvox Cloud by Digium, a cloud-based Unified Communications (UC) solution for small and medium-sized businesses searching for enterprise-class features at an affordable price! Why Switchvox Cloud by Digium? Switchvox Cloud is more than just a hosted IP PBX; it is a full-featured, affordably priced UC cloud solution, starting at only $12.99 per user! Switchvox Cloud is based on Digium’s award-winning Switchvox business phone system. Users enjoy the same features and flexibility of the premises-based Switchvox phone system but, this time, in the Cloud. Don’t have that many users? No a problem. Switchvox Cloud features are easily accessible to businesses with as few as five users or even with hundreds of users! What’s Included in Switchvox Cloud? With Switchvox Cloud, you have access to mobility, call queues, voicemail, unified messaging, presence, chat, IVRs, integration with Salesforce CRM, monitoring, reporting, on-demand recording, and more! Best of all, all of the features are included with no additional licensing fees, which makes Switchvox Cloud the best choice for your hosted solution! Where to Start with Switchvox Cloud? 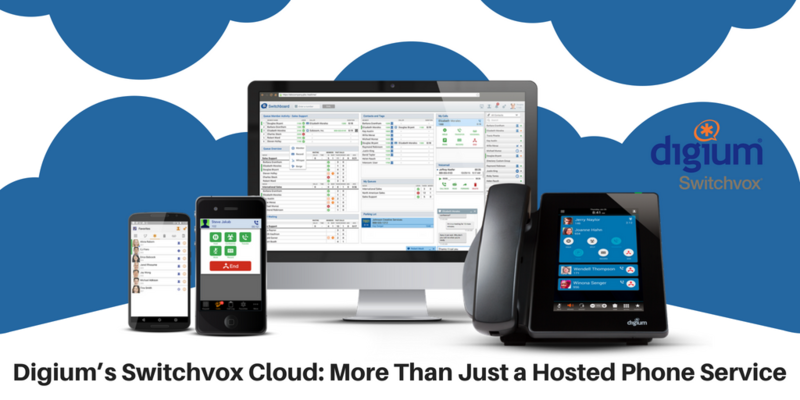 The Switchvox Cloud offers two flexible pricing options to fit any business need. The metered plans start at $12.99 per user and the unlimited plans start at $29 per user. Not sure if the Switchvox Cloud is what you need? Try it completely risk-free for 30 days! Contact one of our VoIP consultants at 1-800-398-8647 today for more details.